Three stories about mobile phones have monopolized the news in the last couple of weeks. I'm not sure if any of these stories are that important (the obsessive nature of internet news and buzz often blows things way out of proportion to their actual importance). In any case, Verizon iPhone rumors, Android's incredible summer of sales and the release of the new line of Microsoft phone software supremely underwhelmed this blogger, for one. As I've said many times, I'd rather not engage in conjecture (unless it originates from something I write or make up). The Wall Street Journal reported last week that CDMA iPhones were being made in China. [A bit of background info: Verizon, unlike other mobile networks, runs on the CDMA system, which requires a full re-design of devices. In addition to going against industry standard, CDMA smartphones might not be able to handle state-of-the-art multitasking]. Neither Apple nor Verizon have confirmed or released information about this possible deal, nevertheless, as The Wall Street Journal is open to subscribers only, I invite you to read more about this in the article the New York Times printed last week. Although I think a Verizon Apple deal would be great for all parties involved (and horrible for everyone else in the mobile market), I had to take that particular piece of news with a grain of salt. Every three months, it seems the Wall Street Journal prints another story about how the two companies are dangerously close to a deal. 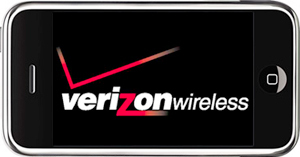 Although Apple and Verizon folks have yet to fully confirm these rumors, there is likely a Verizon phone coming very soon. The most surprising thing about this news, to me, is that anyone was surprised at all. The iPhone was, even at its initial release years ago, always too good to limit its market to ATT. I have always thought that it would be tough for Apple to broker a deal with Verizon (historically, neither company has been very good at compromising control--I could potentially see that the App store might present a problem). Nevertheless, if it does come to pass that Verizon will be releasing an iPhone this winter, we shouldn't be surprised at the inevitability of this event. Apparently, Android sales surpassed Apple this summer. Again, to me this is very boring and un-surprising news…and I think it's because most people miss the important factor. Android is a platform, iPhone is both a device and a platform. Apple, as they have done with nearly every product they;ve ever produced, streamlines the software and hardware of the iPhone, producing both entities, allowing the company to completely control all aspects of their device. Android, on the other hand, allows mobile phone manufacturers to make different models of phones that run the Google made software. It would be embarrassing for Android if they didn't out sell Apple, iPhones are available on a grand total of one network, Android devices are available on all networks. Broader distribution = more sales. However, if the aforementioned rumors about the Verizon iPhone are true, the playing field will be partly leveled. My inaugural post on CS, just a few short months ago (oh, how time flies...) discussed how Micrsoft's failed effort at a mobile device, the Kin, was indicitive of the company being way behind the ball in the mobile market. I predicted that they would have trouble turning themselves into a leader. Now, reviews of their new phones are preliminary, and no one really knows how good/bad they are, but just looking at the pictures and reading the technical specifications made me (and many others) think that these phones are going to be mediocre, at best. 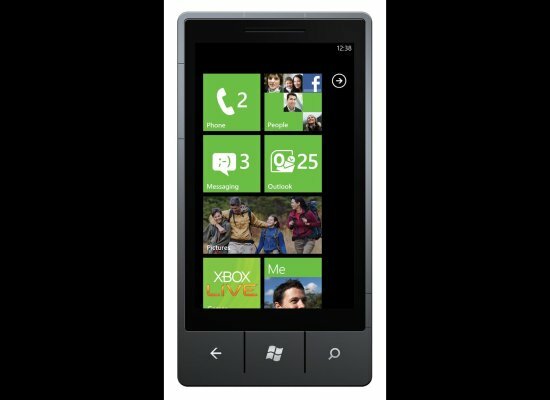 Microsoft released information about their upcoming new line of smart phones. Unfortunately (for Microsoft), there might not be any room for them in the mobile market. I don't mean to say that there isn't room for a new innovator, there is always space for someone to do something incredible, but Microsoft has a history of stale innovation and (what I believe to be) shoddy products (I'm biased as an Apple nut). The problem, as I see it, is that Apple and Android, as leaders and innovators (who also happen to both put out excellent products) are going to stay big players. RIM and the Blackberry are still breathing because of stubborn IT guys (who find it's easier to program entire offices--particularly in the political realm on Blackberry) won't let other phones into their networks. Microsoft has always depended on business and IT departments, and without their support (and, if you look at the new phones, they don't seem to be going after the business market, the models are more media machines than anything else, going after Apple and Android's bread and butter), I fear Microsoft will continue to have trouble breaking in to the market--and CEO Steve Balmmer might have to take another pay cut.